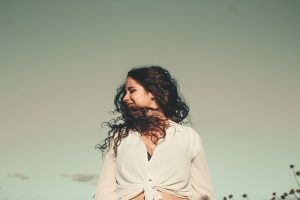 What Causes Buildup And Residue In Hair? Who Should Be Using Clarifying Shampoo? Overwhelmed by the choices of hair care technology? Does a trip to the salon intimidate you for more reasons than the immaculately presented stylists? Let me help you out. Come armed with knowledge. 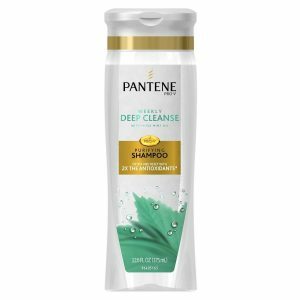 So, in this installation of shampoo reviews, we will be taking a look at cleansing and clarifying shampoos. Next time you’re in the salon, or browsing the hair aisle, you’ll understand your needs a little bit better. Clarifying shampoo is a deep-cleansing detox for your exposed and vulnerable strands. 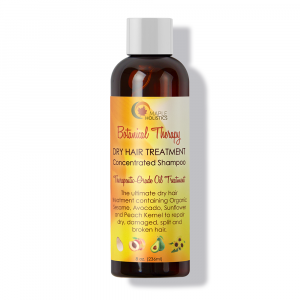 It is universally understood that shampoo is for cleaning, conditioner is for conditioning. But, it’s really more intricate than that. Some ingredients in your shampoo might do a good enough clean, but sometimes good enough just doesn’t cut it. Clarifying shampoo is a deep-cleansing detox for your exposed and vulnerable strands. You’ve probably heard that it isn’t great to wash your hair every day, messing with the natural pH levels and whatnot. Basically, our hair has become reliant on being washed almost, if not every, day. But that is the shampoo world we live in. 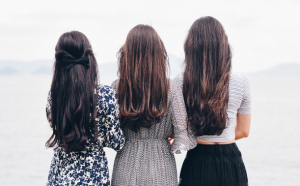 To counteract our obsession with washing our hair, most shampoos use softer cleansing agents, which means that over time your hair is still building up gunk from its environment and from you. Your hair, especially if it’s dyed, is breathing in everything around it. It’s breathing in pollution, chlorine, oils, gases, products. I mean, you want it to take in the product for a while, that’s what gives you that great curl, that sleek shine, that temporary color. But after you’re done your hair needs to breathe. The same way you cleanse before a face mask, your hair needs that attention, too. 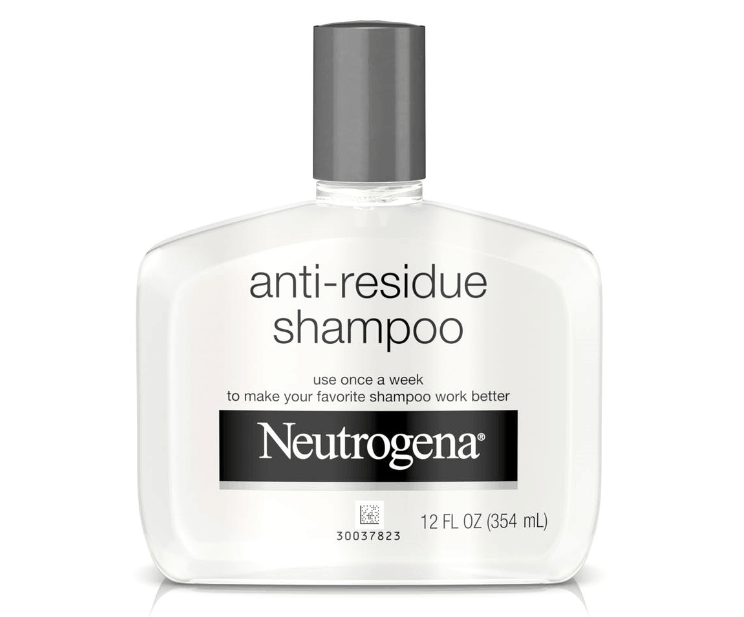 Clarifying shampoo removes buildup from your hair. 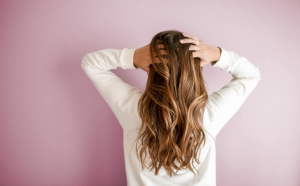 Before we delve deeper into the benefits of clarifying shampoos, we should first review what causes buildup and residue in hair in the first place. Every single product you use in your hair causes buildup. This includes your regular shampoo and conditioner. Some people have hair that does not allow products or water to easily get deep inside. This is known as non-porous hair. When you have this kind of hair, products will most likely just stay on top of your hair. This leads to buildup. Silicones, which are found in many hair products, work by lubricating the hair to add shine. They require special cleaning agents to be removed. I know that it’s super easy to reach for the dry shampoo when you want to push off washing your hair, but just know that all that product builds up and prevents you from having “commercial hair”. Buildup and hair residue are unavoidable and are constantly happening. Whether it be natural pollutants or your hands constantly touching your hair, your hair is in a perpetual state of getting dirty. It’s sort of like owning a car- the more you use it, the lower its value. You can spruce it up and get new parts, but it’s never worth the same as it was originally. Your hair just isn’t the same as when it first grew in. This is where clarifying shampoo comes in. Each hair type has different needs. If you have thin hair, buildup can weigh it down. Yet some buildup may be beneficial for people with thick, curly hair. 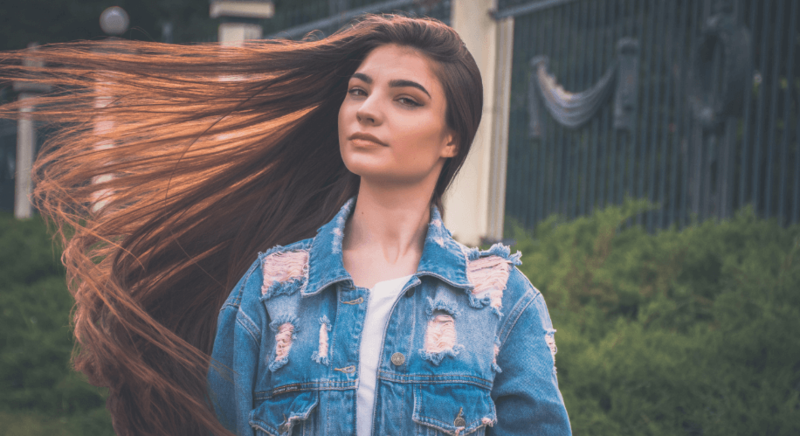 I know you think you’re completely cleaning your hair with regular shampoos, but they are actually filled with moisturizers and other ingredients that coat your hair shaft in order to prevent breakage. So what does clarifying shampoo do? It strips your hair of everything it has, leaving you with your extremely clean, naked hair. Clarifying shampoo works in a way that combats the dirt that is stuck or hiding in your tresses. 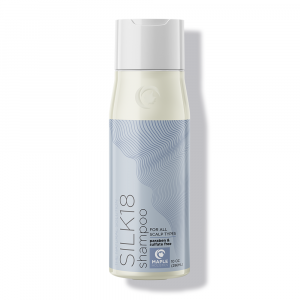 It allows your hair to look weightless and oh so clean! Since clarifying shampoo cleans your hair of everything, it comes with a downside as well- it strips your hair of its natural oils. You know which oils I’m talking about. All those oils that help your hair look shiny and silky while moisturizing your scalp. Because of the stripping nature of clarifying shampoos, you should not use it more than once or twice a month. If you’re a fan of doing laps in the pool, you should be using a clarifying shampoo more than once a month. Chlorine can wreak havoc on your hair. If you use waxy products like leave-in conditioner or mousse, you may need to use a clarifying shampoo once or twice a week. But if you use just a small number of styling products, you will only need to use clarifying shampoo once or twice a month. Most hair products have some kind of silicon in them which is not something you want to keep on your hair for too long. Basically, everyone can benefit from a clarifying shampoo, the question is how often would you need to use it? So, I’ve compiled this little list of questions to ask yourself, to get the hard truths about your clarifying needs. Do you swim more than once a week or put product in your hair more than once a week? Do you have oily hair? If you’ve answered yes to any of these questions, you need to clarify once a week. Although chlorine keeps our water clean, it’s terrible for hair, especially blondes. Chlorine can turn your hair brassy, or even green, as it builds and dries up your hair. A product is an obvious one, I feel. If it’s not natural, it shouldn’t stay on your hair. Most hair products have some kind of silicon in them which is not something you want to keep on your hair for too long. If you’re suffering from overproduction of oil, I don’t feel this one needs much explanation. Clarifying once a week should keep it under control. Other questions to ask yourself: Do you color your hair? Do you use hair masks? If you answered yes, or plan to try either of these things, clarifying shampoo is an excellent first step. It will help prepare your hair for more vibrant color and a deeper mask experience. Lastly, do you have fine hair? Does it flop on your face right after washing? Using clarifying shampoo once in a while will give your hair new life, a little lift, and a fresh feel. Many people have tried ‘hair training’, where they mess with how often they wash their hair to try and return their hair to its natural oil reproduction. 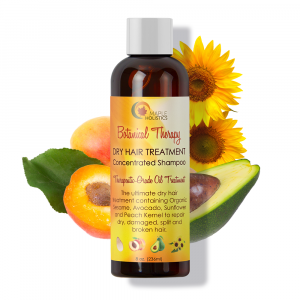 It can be an oily process as your scalp adjusts, but you have to hang in there! Clarifying shampoo can be incredible for hair training. You’ll spend less time in the shower and more time living your life as an amateur hair model. Redken is known for their high-quality hair products. The Redken crew, as I affectionately call them, are a force to be reckoned with. 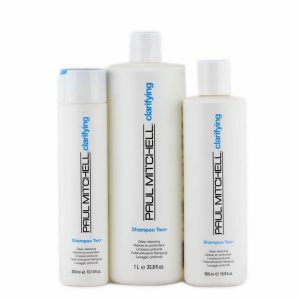 Their high quality, salon standard products are available all over and treat a myriad of hair issues. Their cleansing cream shampoo is unmistakable. The pearl white bottle has an angelic feel. This matches well with the bounce you get from your freshly cleansed hair. How does it work? 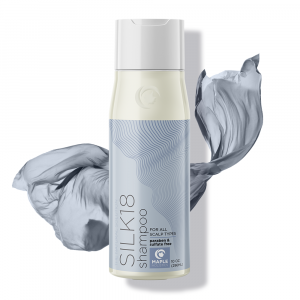 It’s got all the benefits you’d expect from a cleansing shampoo: removes nasty copper, iron and other minerals found in your water, as well as styling product build up. Then, you’ve got fruit acids to add shine, purify, and refresh. But my personal favorite element is the chelating agents. They don’t have a badge, but what they do is act as a kind of magnet for unwanted minerals, banding them together so that they wash away smoothly. It’s like a mass exodus of toxins. So, while this is a little pricer – Redken, it’s Redken, guys – it definitely puts the science in hair science and, and you reap the benefits. Shampoo Two works as a regular cleanser. I’ve always loved Paul Mitchell, the smell takes me back to my hair school days and the product range is thoughtful and high quality. It’s also not a breaker of the bank, which I always appreciate. So, why do I call their range thoughtful? Let’s get into it. Paul Mitchell has two cleansing shampoos: Shampoo Two and Shampoo Three. Don’t ask about one. We don’t talk to her. Anyway, Shampoo Two’s job is a regular cleanser, while Shampoo Three is a more intense cleanser. The difference? Shampoo Two has more gentle cleansing agents making it color safe and good for regular use. Shampoo Three is strong and intended as a prep for color, a mask, or a deep clean. They’re both paraben free and vegan, just by the by. But the real thoughtfulness comes in their sizes. They are both available in multiple sizes. However, where Shampoo Two starts at 10.14 oz, and Shampoo Three begins at 3.4oz. Why would that be? Well, you’re probably going to use less of Three, since you’re not using it more than once a week at most. This way you’re only spending on what you need. Good people. This Neutrogena product is extremely powerful. Honestly, this is the one for me. I know you’re not meant to judge books, or shampoos, by their cover, but the clear little bottle with a matte cap and the Neutrogena font just screams calm and cleansed. Yes, a font can do that. This little baby is powerful. I’ve been dying my hair for almost ten years so I need to be very careful with my cleansing shampoos. This one is strong enough to be effective when used sporadically and kind enough to be color safe. It’s definitely my ride-or-die choice. It’s $6.99, and you can really milk this little 6oz bottle. Also, look at it, just take a look at it, then close your eye and imagine how it smells. That’s how it smells. Like you’ve stepped out of a waterfall and the little lake creatures have gathered around you in your cleansed beauty. Pantene have really upped their game. For me, Pantene is the scent of high school. It brings me back to school corridors and camps. They’ve really expanded their range, and their technology, since then, though. It’s safe for color treated hair and regular use, and at its very affordable price, you can add it to your regular routine. It’s got the usual antioxidants as well as protein enhancers that give your hair strength and fullness. Like a steak for your hair. They suggest you use it with revitalizing shampoo and conditioner for the full effect. This is a very affordable all-over regime that will boost your hair with goodies while stripping away nasties. 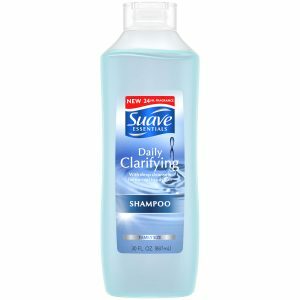 Suave clarifying shampoo is very strong, maybe even too harsh. I couldn’t really believe Suave at first. I had to see what it was all about. It’s under $2 and has a customer rating of 4.3. Let’s break it down. It’s a pH balancer, meaning it works with your natural oils as well as external factors to find your happy medium. It has a strong, clean scent which I love because I’m not cleaning my hair without everyone in a 5-mile radius knowing about it. It has a matching conditioner to boot. So the thing is, it’s pretty harsh. I mean, it’s high rating would suggest that not everyone finds this, and the complimentary conditioner probably helps in that department. But for my color treated hair, I don’t think I’d be using it too often. However, if you have chronically oily hair, this is your new best friend. Like, bestest, bestest. Give it a try, there’s literally nothing to lose! The Kenra clarifying shampoo is an affordable option. The Kenra Clarifying Shampoo smells just like a fresh grapefruit, which I love. It’s also pretty affordable for a salon brand. This product stands out among other clarifying shampoos because it contains witch hazel. This ingredient not only cleans your hair, but it also protects your scalp. 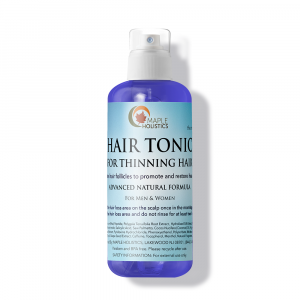 Using witch hazel can help or even cure most scalp issues, and it’s a great natural ingredient to be putting into your hair. If you usually dye your hair, this clarifying shampoo from Kenra would be a great choice for you. When it comes to dying your hair and using these kinds of shampoos, there’s always the fear that they will completely strip your hair of its color. You don’t have to worry about that with this one, as it promises to keep your color intact. Make sure your clarifying shampoo contains citric acid. There are three important natural ingredients to look for in clarifying shampoos. The first is acetic acid. Many people know this as the main ingredient found in vinegar. If you’ve ever used vinegar as a cleaning product, you know how good it is at removing grease and grime buildup. Therefore, it is equally as great at removing the chemical and product buildup from your hair. The second thing you should look for are types of surfactants. Laundry detergents usually include surfactants, which help to remove stains. To put it simply, this ingredient allows the water to attach to the dirt and oil in your hair, which allows them to be removed. Without the surfactants, the oil and dirt wouldn’t mix with the water, so you wouldn’t have clean hair. And the third ingredient you want to have in a clarifying shampoo is citric acid. 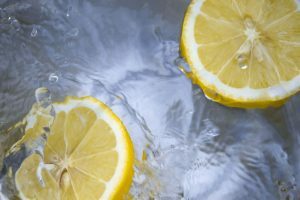 As you know, some fruits and vegetables- mostly lemons and limes- contain citric acid. It helps in the stimulation of hair growth while also making the follicles healthy. Citric acid can improve scalp conditions by clearing out dandruff and increasing the blood flow. Citric acid also helps prevent itchiness. It also works great of stripping your hair of buildup. A cleansing shampoo is an important part of a hair care routine. Your average shampoo just won’t cut it. Between the pollution in the air, the treatment in our water, and our god given right to style our locks to our will, our poor hair takes the toll. It’s been there for you through styling, beach days, tanning and coloring. You shouldn’t use a clarifying shampoo too often. Whether you do it once a week or once a month, your hair will thank you for it, and you’ll enjoy the daily compliments!